Small Groups Leaders are in charge of leading their own individual weekly small group. 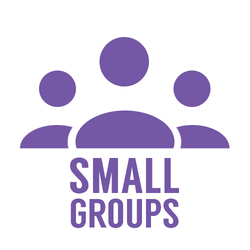 Small Groups Coaches exist to help support and encourage Small Group Leaders. ﻿﻿The purpose of these Small Group Resources is to give you some examples of what Small Groups have done in the past. Let them be your guide to plan other amazing bible studies, activities and adventures! ​Also feel free to share some of the awesome stuff you are doing in your Small Group to inspire other Group Leaders. ﻿﻿Having trouble accessing these files on Google Drive?